Carteret County's Board of Commissioners voted file a letter of intent to sue the US Fish and Wildlife Service over new protections for the loggerhead sea turtle. 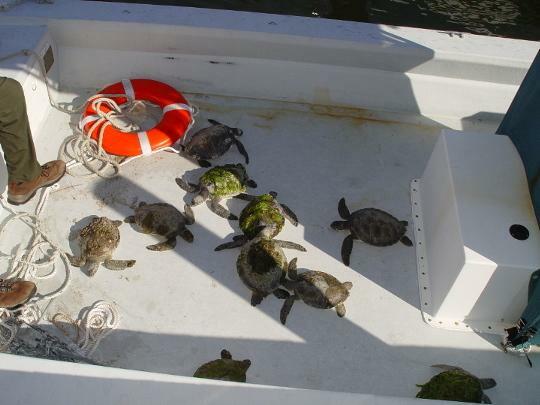 The US Fish and Wildlife Service is considering declaring parts of Carteret County a critical habitat for the turtles. They are currently designated as a threatened species by the Endangered Species Act. The Carteret County Shore Protection Office claims that existing protections for loggerhead turtles are enough, and that new guidelines would hurt business and tourism in the area. Pete Benjamin, who directs the Raleigh Field Office of the Fish and Wildlife Service, says the new rules will only affect federal activity. "What it does not do is affect any of the ongoing beach activities like access to the beaches, sunbathing, recreational activity, beach driving," he says. Greg Rudolph, Carteret County's Shore Protection Manager, presented the letter of intent to the County's Board of Commissioners at a Monday evening meeting. Rudolph says key parts of the process to designate a critical habitat have been ignored by the Fish and Wildlife Service. "We were like, what else do you want us to do?" said Rudolph. "Unless you clearly articulate that, this critical habitat proposal is absolutely bogus. Almost everyone was like, wait a second this state, the county, and the everybody already does a lot for the conservation of the loggerhead already." A final decision on the designation will be made next year. If approved, it could affect over 700 miles of coast in six Southern states. 155 sea turtles were rescued off North Carolina’s coasts and beaches this year and treated for “cold shock,” caused by low water temperatures. That’s more than usual, and about half the animals are still recovering. 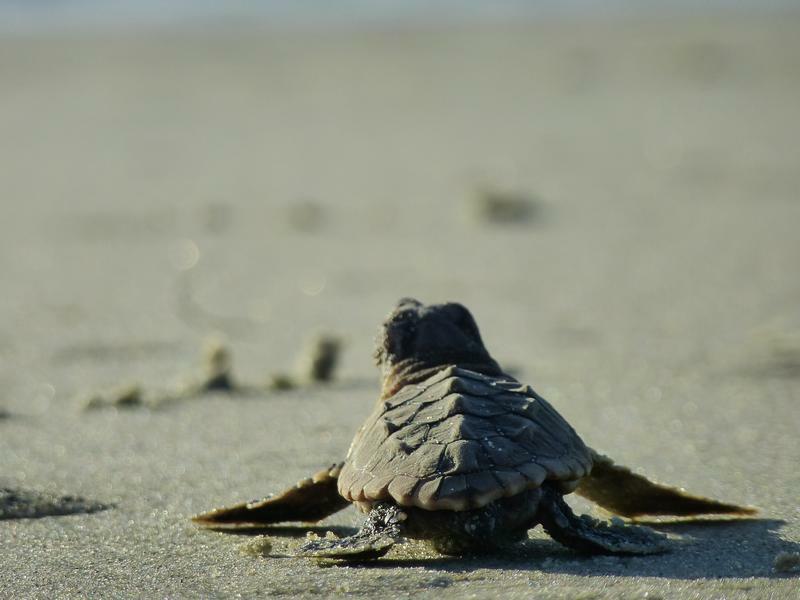 Wildlife officials reported a record number of sea turtle nests last summer. They say it's not likely high numbers will be seen again this season because the same turtles don't typically come back to nest every year. Officials with the U.S. 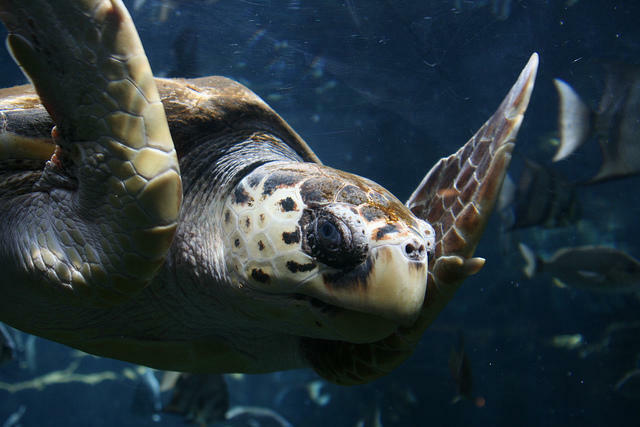 Fish and Wildlife Service are estimating the cost of designating special loggerhead sea turtle habitats along the Southeast coast. The federal agency released a draft proposal saying it will cost $150,000 annually to protect areas in North Carolina and five other states. Volunteers and wildlife rehabilitators have rescued about twenty endangered sea turtles from cold waters and beaches so far this month. Lou Browning is a wildlife rehabilitator on Hatteras Island who's been helping transport turtles stunned by cold waters to veterinarians. "When the temperature drops quickly, we get a cold that comes through the sound and the water temperature drops dramatically, when it drops below about 56 degrees Fahrenheit, sea turtles have a difficult time and they become lethargic."